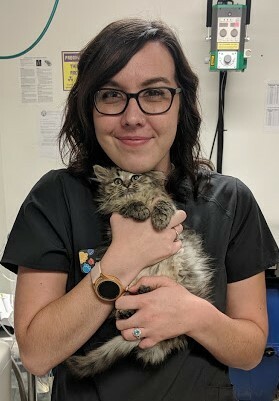 Mindy joined our team in October of 2018 as one of our Registered Veterinary Technicians. 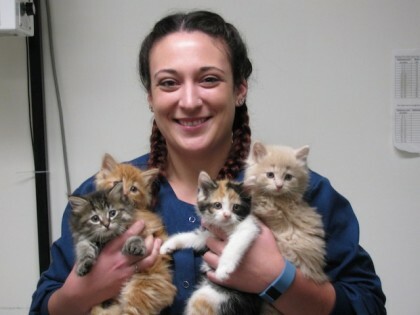 Mindy graduated from the Vet Tech Institute at Bradford School in August 2011. Her pet family includes 6 horses, 2 dogs, 2 cats and 6 chickens. Mindy is married to Zac and has 2 daughters, Madilynn & Charlotte. In her spare time she enjoys spending time with her familya nd working with her horses. Crystal joined our team as a RVT in November of 2013. She graduated from Stautzenberger college where she obtained her Veterinary Technician License. In her spare time Crystal enjoys spending time with her children and family, horseback riding, camping, and watching movies. Her pet family includes a horse named Chaffon and 3 cats: Taz, Coal & Gizmo. 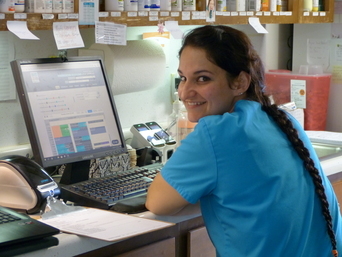 Denise joined our team in November of 2016 as a Registered Veterinary Technician. She graduated from the Vet Tech Institute at Bradford School in August of 2016. Denise has one son named Aiden as well as 4 dogs - Buddy, Franklin, Pepsi and Jinx; and 7 cats. In her spare time Denise enjoys spending time with family, playing video games and riding quads. Caity joined our team in January of 2017 as a Registered Veterinary Technician. She graduated from Columbus State Community College where she received her Veterinary Technician license. Caity's favorite part of her job is getting to experience new and different things every day. She has 1 dog named Lilly and a kitten named Roe :) Outside of work Caity enjoys spending time with her furr babies, family and friends.